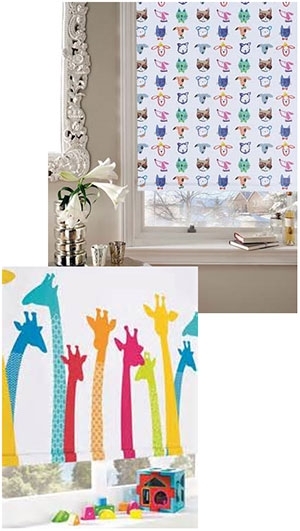 Party animals is shown to the right of this image and it’s a firm favourite to everyone who’s come across it, the cute little, brightly coloured animals have such lovely little facial expressions they really bring this blind to life which is so perfect for a kiddie’s room or playroom. G-Raff is the next fabric shown here, it’s a full of amazingly bright giraffes decorated over the plain white background which make the lovely colours stand out even more. 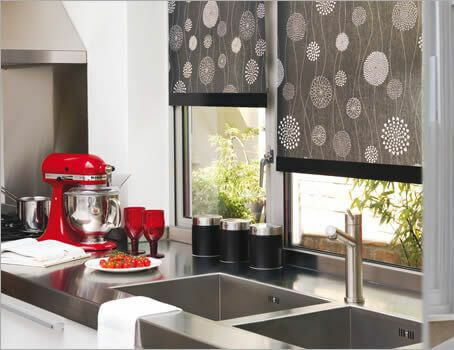 This is such a playful blind which would easily blend harmoniously into your little one’s room. Below is the Ella blackout, it’s a nice cartoon like flower print which would look so cute in a girl’s room, she’ll love the pink pattern and with it being on a white background you can match it to various accessories in the room, and the best part is its blackout so the sunlight won’t disrupt your little ones sleep, what could be better?